New DS Car Leasing and Contract Hire Deals. Search for DS car lease deals below. 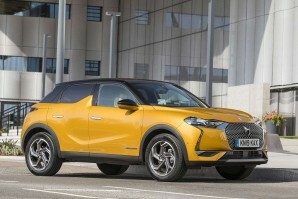 DS is the premium brand of French Groupe PSA. The DS marque was first announced in early 2009 by Citroën as a premium sub-brand added to certain models. DS is an abbreviation of Different Spirit or Distinctive Series (although the reference to the historical Citroën DS is evident), to run in parallel to its mainstream cars. The DS range covers the DS3,4,5,6 and 7. 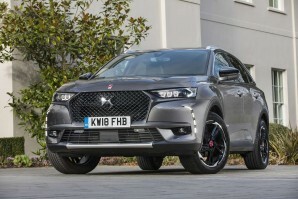 The crossover DS7 is a fun drive and you might be surprised at just how low your driving costs could be for a cheeky DS3. See our offers below. Why lease your next DS car from Total Vehicle Leasing? Not only can we help specify your next brand new DS car, we will find the right finance deal for you and arrange everything from placing the order to delivering it to your door - it couldn't be simpler. Search the DS car you want, choose the contract length, the initial payment amount and ask us for a quote. Alternatively give us a call on 01565 65 66 66.